Small and medium-sized enterprises (SMEs) play a key role in the economies of all the countries in the world by their contribution to the national economic growth and employment. Nowadays, in a complex, competitive and volatile business environment, the adoption of Sustainability principles is of utmost importance for a steady and sustainable growth of the small and medium-sized enterprises and to a large extent their survival depends on it. Yet, the relationship between the SMEs and Sustainability is mutually interdependent and the success of Sustainability agenda is very much conditioned by SMEs while the growth of SMEs cannot be achieved without the integration of Sustainability principles into their business strategies. SMEs contribute greatly to job creation and overall economic growth. According to the OECD report from 2017, Enhancing the Contributions of SMEs in a Global and Digitalised Economy, in the OECD area, SMEs account for approximately 99% of all firms. Moreover, they contribute to about 70% of total employment and the ‘’ major contributors to value creation, generating between 50% and 60% of value added on average’’. In developing economies, SMEs contribute up to 45% of total employment and 33% of GDP. These facts clearly indicate that the role of SMEs in Sustainability is of tremendous importance for Sustainability agenda to be realized and prove that the relationship between SMEs and Sustainability is irrevocably tied. There is no doubt that SMEs have the potential to become the foundation of the domestic and global Sustainability agenda. 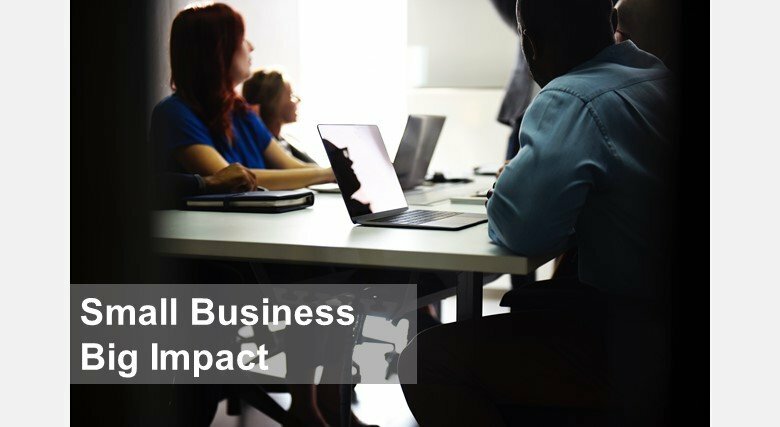 In order to successfully integrate Sustainability principles and practices within the SME business culture, SMEs should understand the emerging opportunities and the relevance to them. In many cases, the message and narrative of the Sustainable Development Goals has not penetrated SMEs, and often SMEs are not aware of brave Sustainability decisions they already have been implementing. Research has pointed out that SMEs struggle to identify how they could use Sustainability as a force for growth and adapt to megatrends such as increased globalisation, digitalisation, the new industrial revolution, the changing nature of work and demographic changes. The recent 2018 SME Ministerial Conference paper reveals how domestic governments and international bodies can design policies and strategies for effective deployment, measurement and monitoring of Sustainability integration in micro firms, young, innovative and high-growth SMEs. Sustainability Knowledge Group contributed to a 2016 nation-wide project under the auspices of the Greek Institute of SMEs in which we realised that SMEs also depend on the vote of trust of citizens, private and third sector as they embark on a journey of discovery. Further work conducted under the local UAE International Society of Sustainability Professionals (ISSP) chapter demonstrated that for the Sustainability agenda to be attained in the next eleven years, communities, countries and regions need to bring SMEs at the centre of the business stage and assure their growth potential is realised.